I had a really busy week and not really a lot of time for a complicated card design or a lot of colouring and I really needed a birthday card. But I guess that is the reason CAS cards exists. 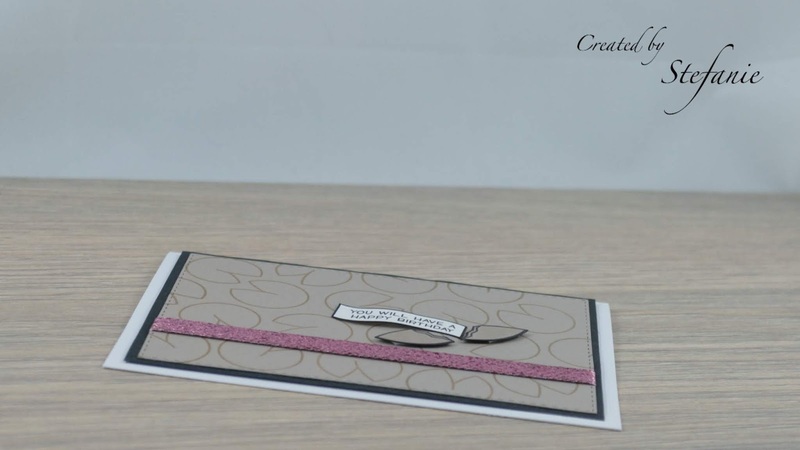 It is perfect for the Addicted to Stamps Challenge as well as the card one from the Pause Dream Enjoy Challenge. The background is a SU Crumb Cake stamped one on some SU Sahara Sand (it was a scrap piece and I really can't remember which one of the grey pallet). All the images come from the tiny stamp set from Lawn Fawn "Year Eight" and is a really cute fortune cookie set. The glittery SU ribbon and some extra "Wink of Stella" on the broken fortune cookie is not only super cute for some extra detail, but also fits the Lawn Fawnatics Challenge. This time, I did not use the matching dies for the stamp set, but used my old school scissors. 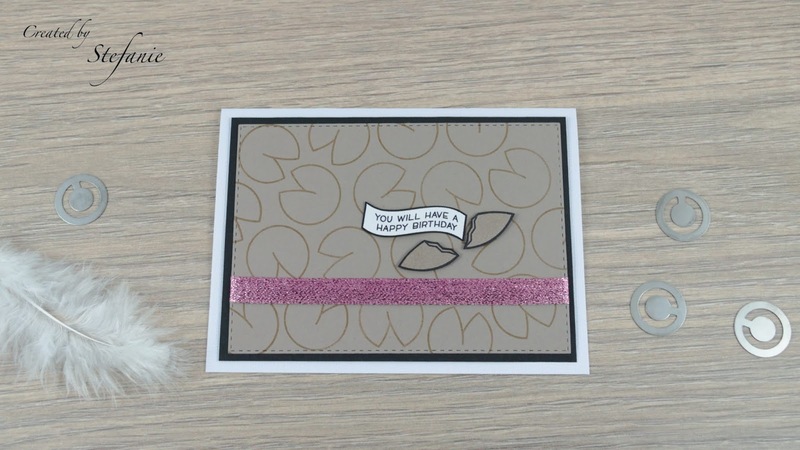 With some dimensionals on the back to get some extra layer and curled up the sentiment finishes the card. Fabulous cas card Stefanie. Nice colour choice. Perfect sentiment for your fortune cookie stamping. Thanks for sharing at ATSM this week. Such a simple yet beautiful card. Love how you stamped your own background. Thanks for sharing your card with us at Lawn Fawnatics!! !